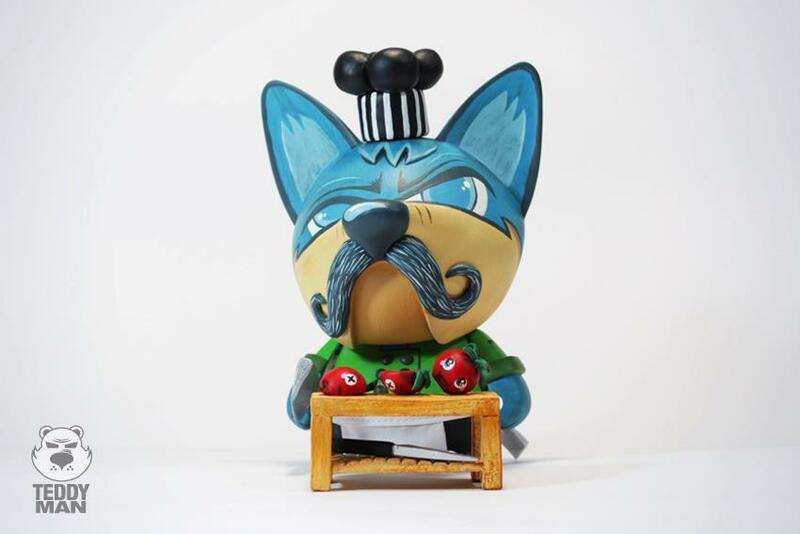 Another superb Fonzo (Not made for the Freakstore show) called Stefano Di Fonzo (Executive Chef) by Teddyman (Guillermo Perez). For 180 dollars it can be yours, contact him here! 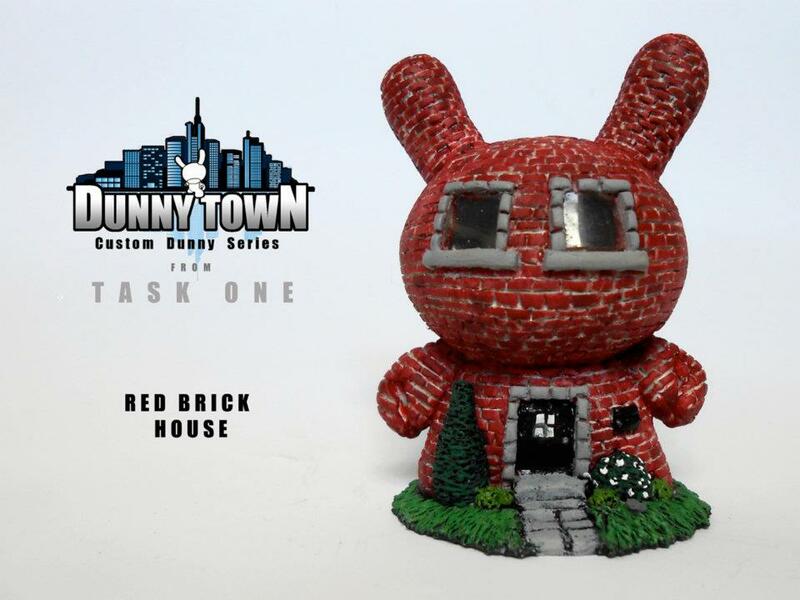 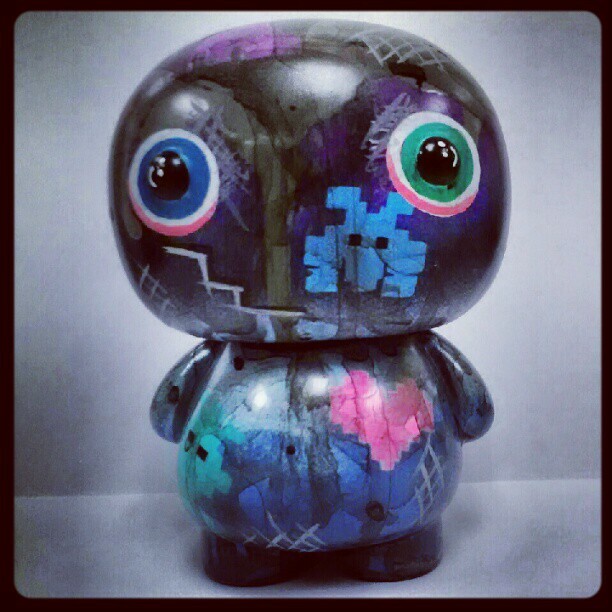 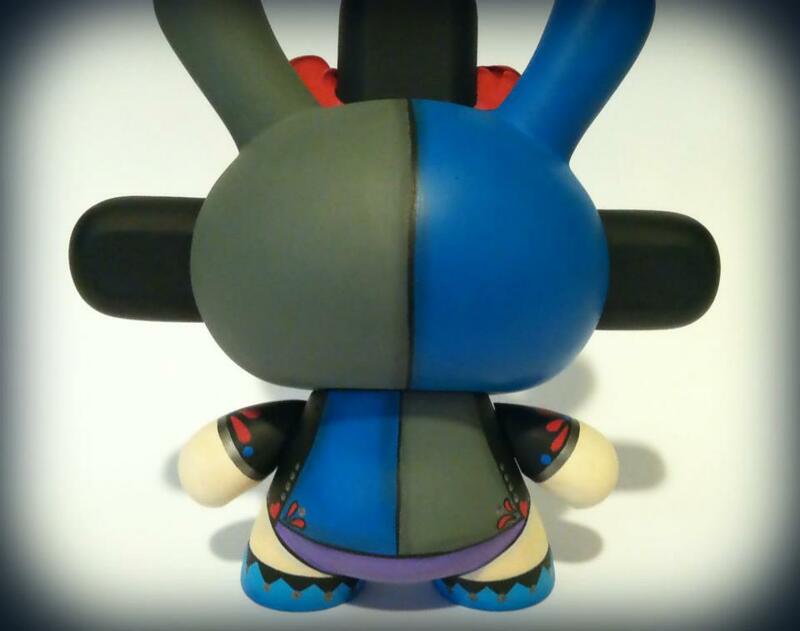 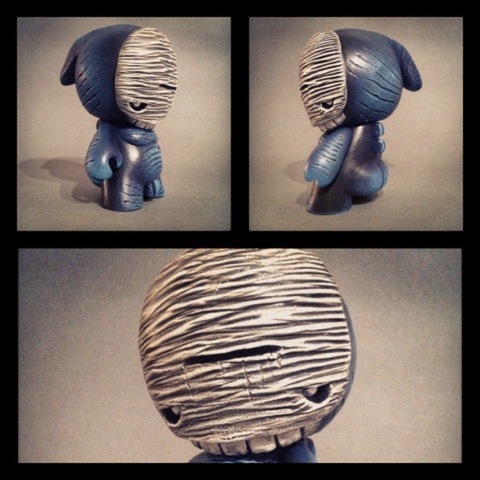 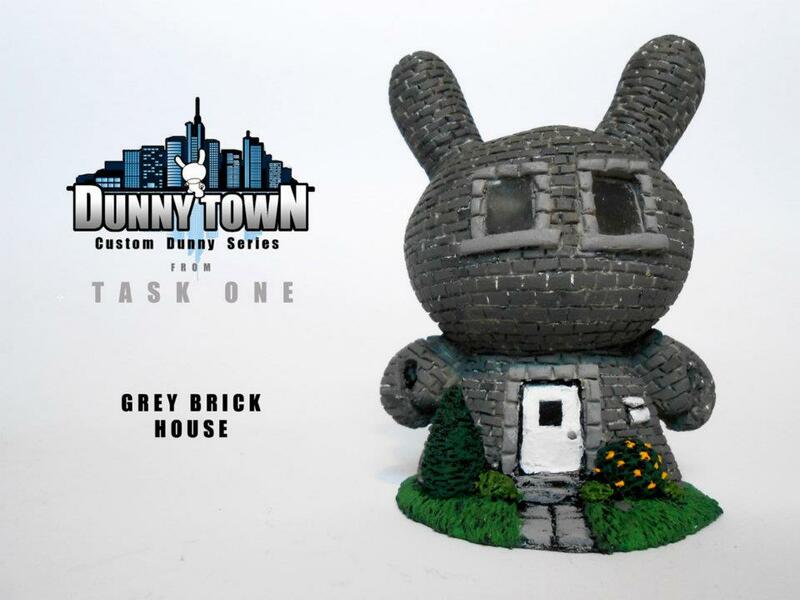 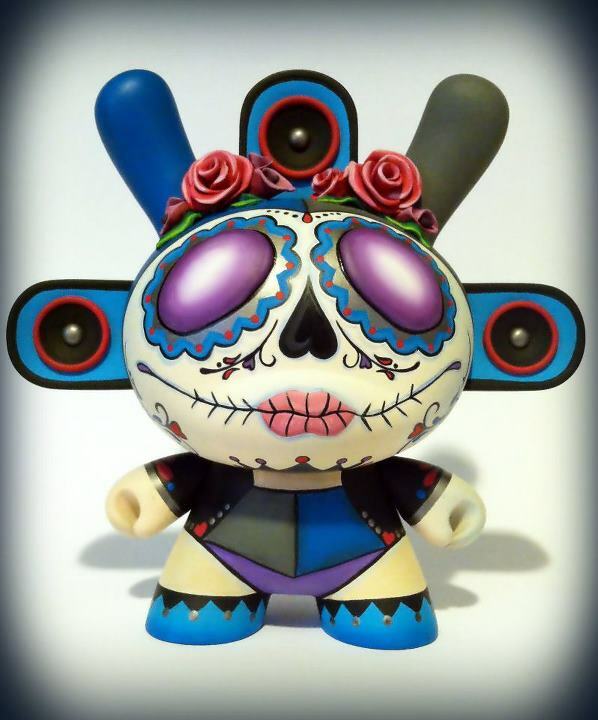 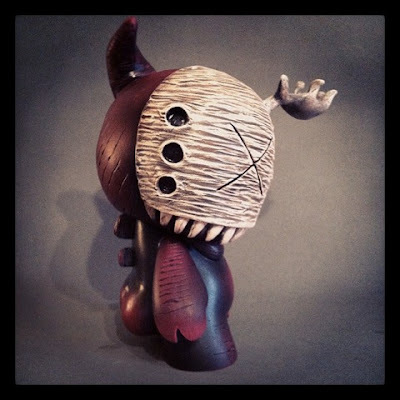 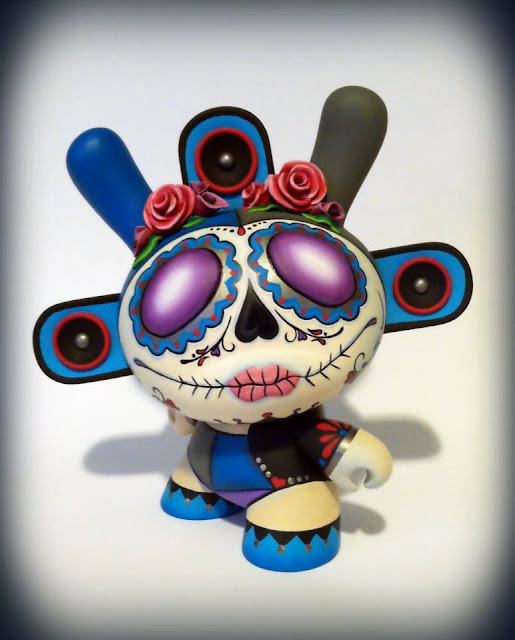 Look at this great 8 inch custom Marka Dunny. 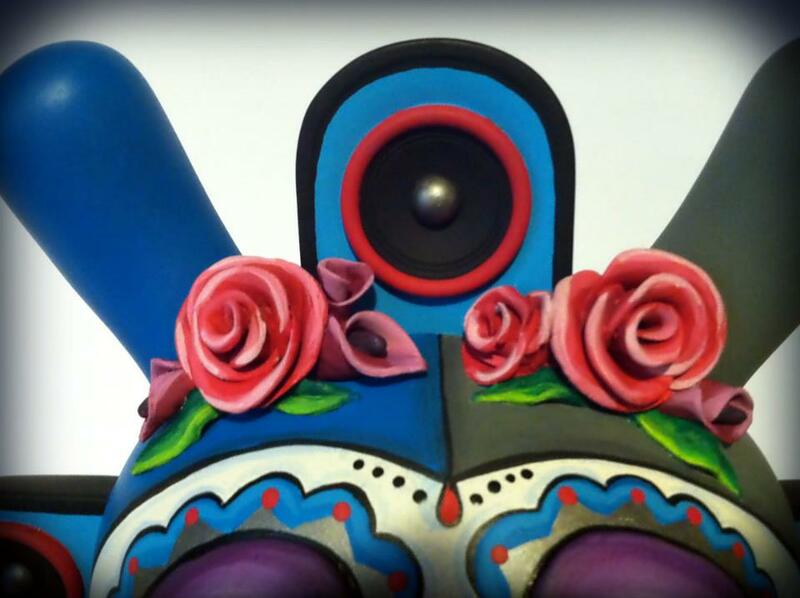 The roses and eyes are made of clay. Are you ready for some bright neon colored Ji Ja birds from Mr. Clement? 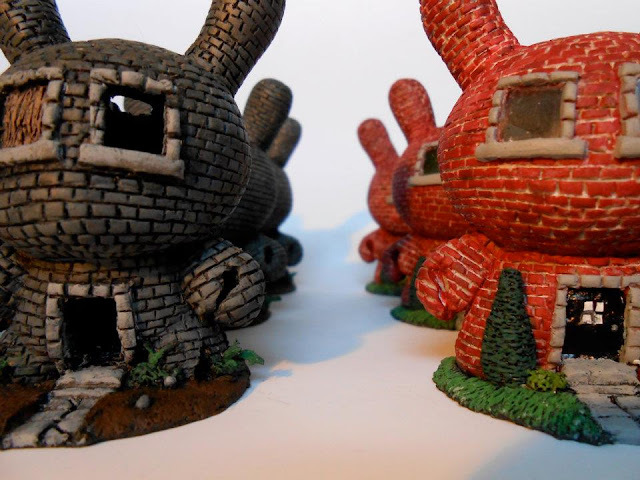 Well here they are and I do not think they could have come out any brighter! 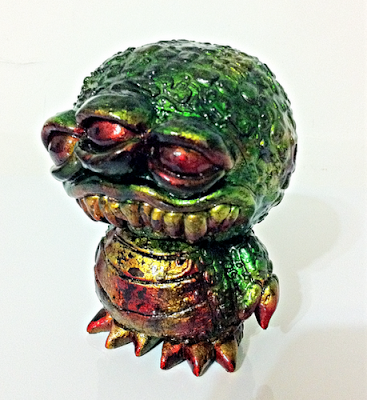 "Junkie Ji Ja" comes in 2 colors, Neon Pink and Neon Green. 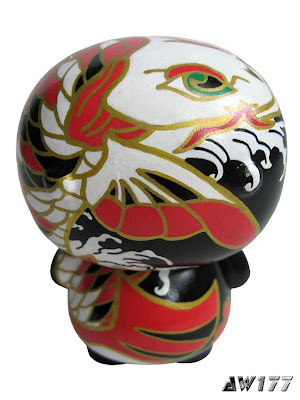 These colors really make his Ji Ja Bird figures really pop and I love the color combinations. 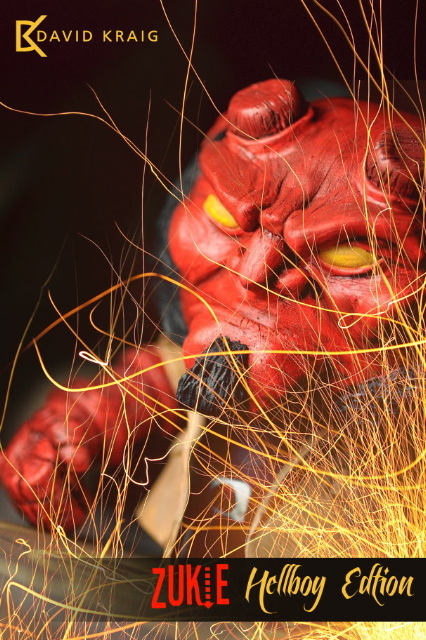 Nothing beats neon in my book. 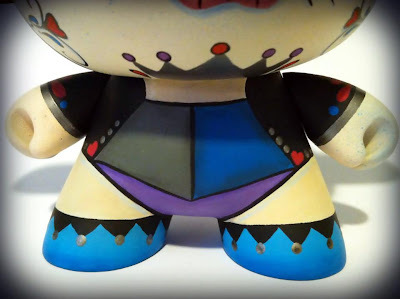 Each figure is limited to 500 of each color. 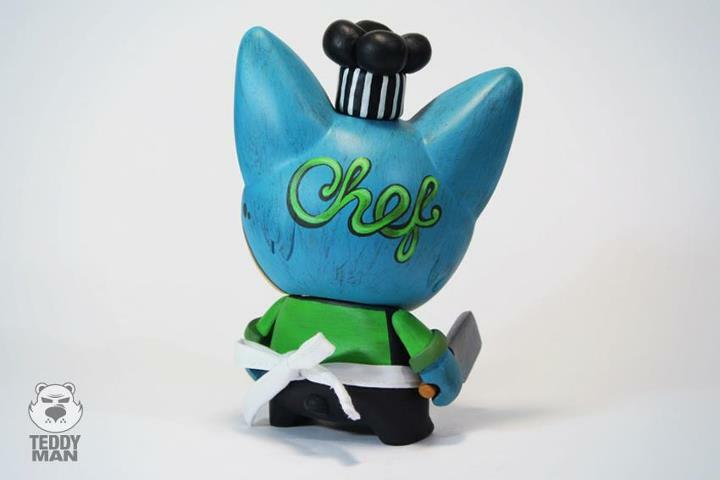 These may still be available in Mr. Clement's online store so send him an email through this link HERE. 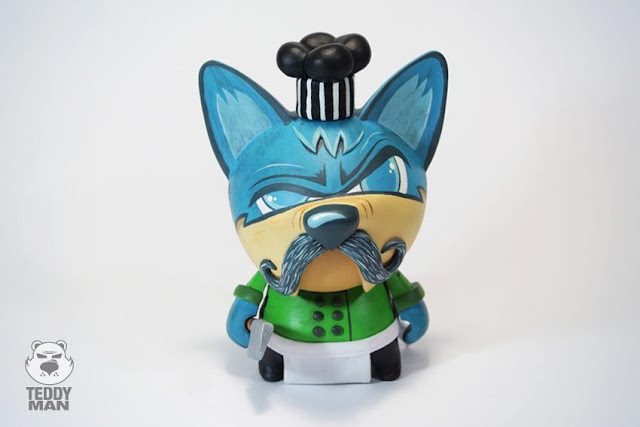 Forces of Dorkness (Scott Kinnebrew) made this excellent 5 inch custom Captain Sturnbrau from Toy2R and Jon-Paul Kaiser. If they ever make an 8 inch version, Scott would love to do one of those as well! 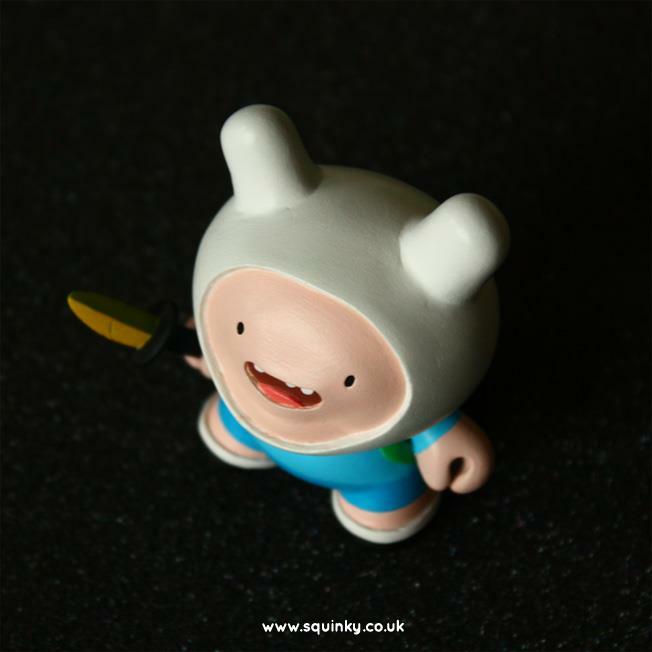 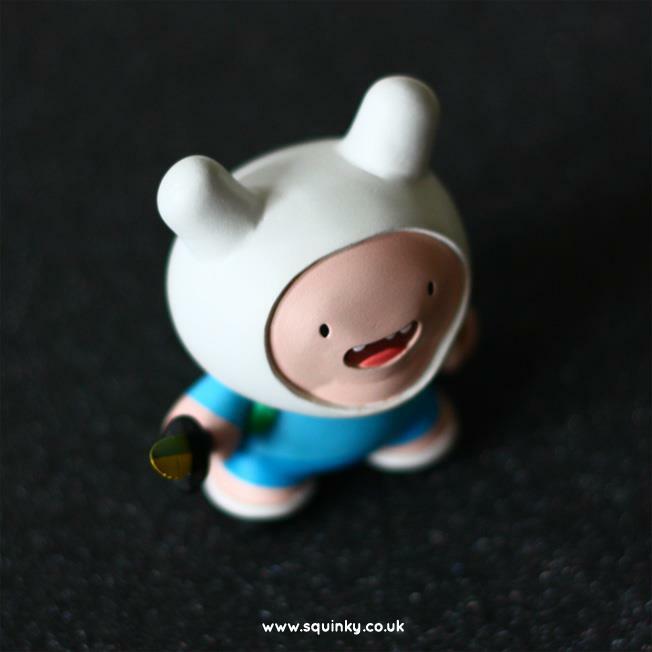 Adventure Time - Finn custom by Squink! 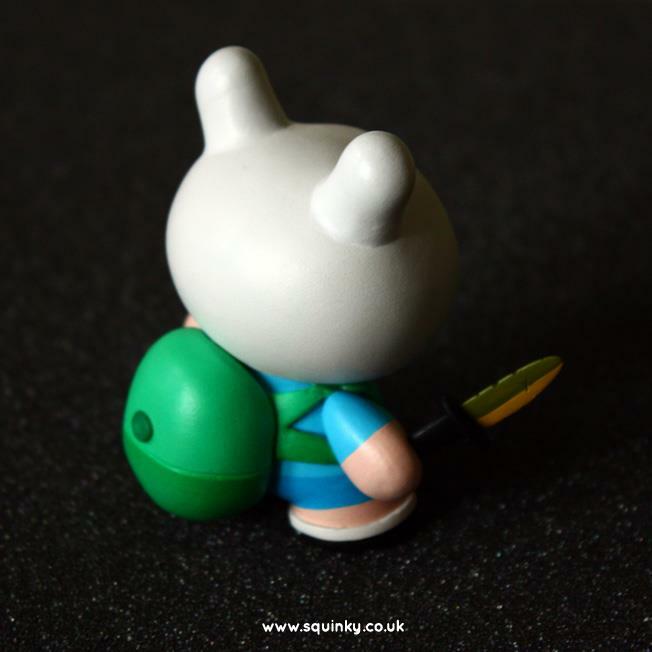 It looks so simple, this 3 inch Dunny, but it is so hard to get is as smooth and production like Squink! 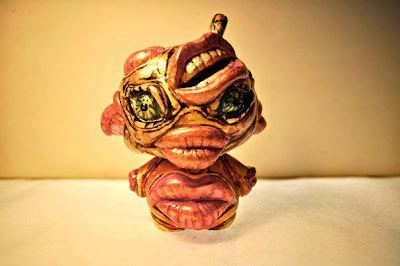 has made it. Stunning work! 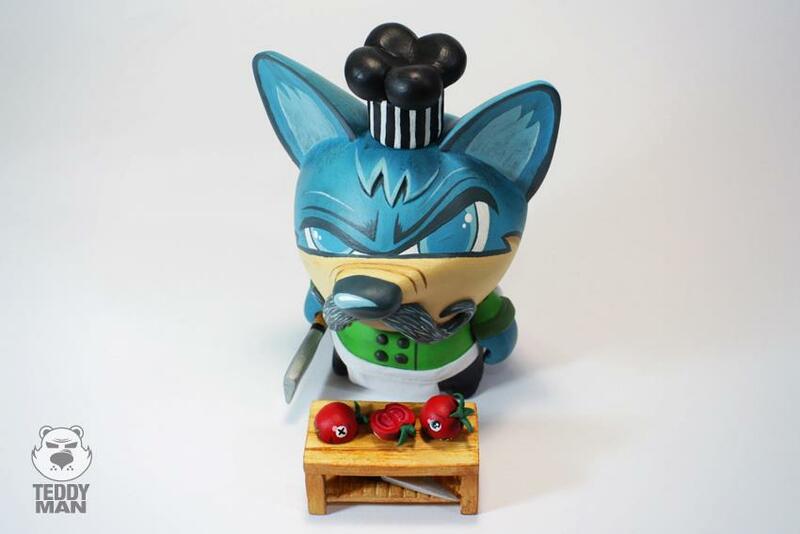 Another amazing 7 inch Mascot from Sekure D.
This is the Shadowboss (red) and his minions (4 inch Munny) Sunny (orange) and Gloom (blue). 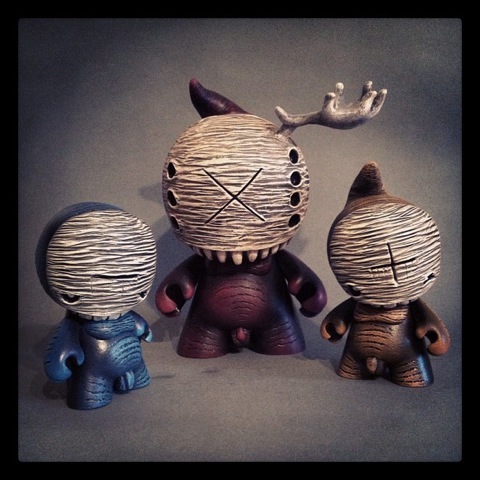 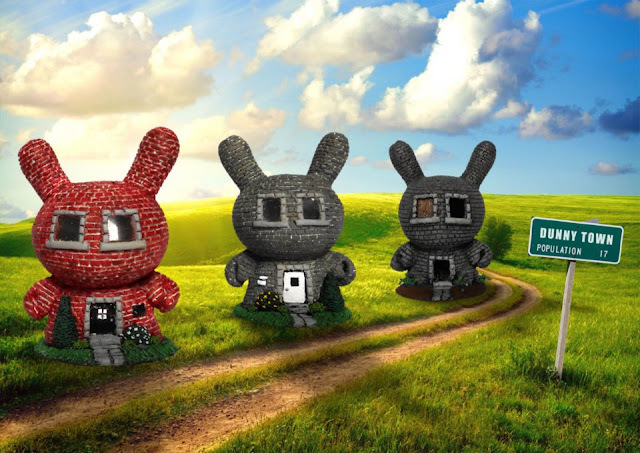 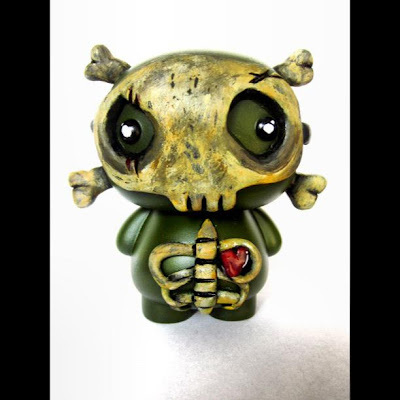 These guys are made by Shadoe Delgado and are now available his shop. 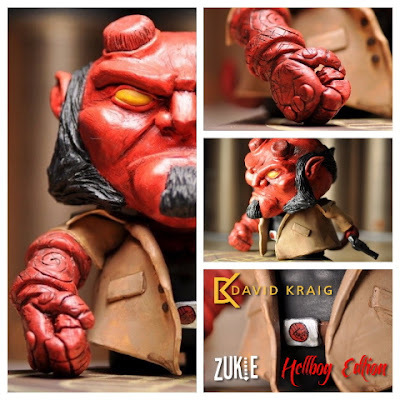 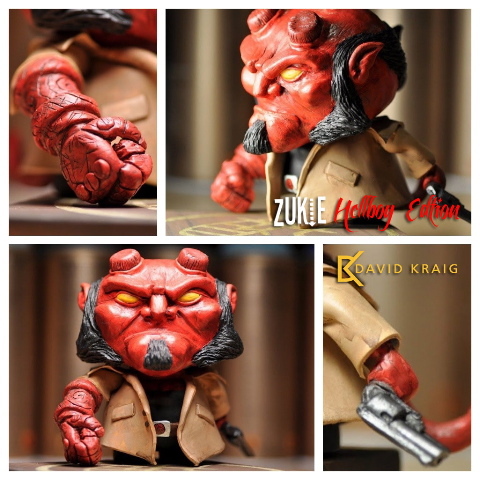 Based off a 4 inch ZUKIE, we present you Hellboy from David Kraig. 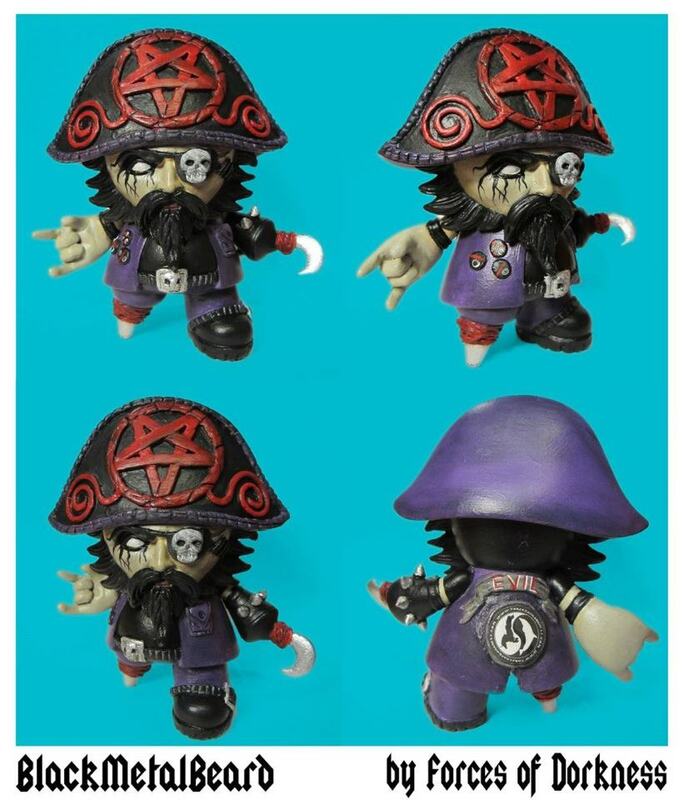 This one is made for the show "Zukie vs The World". Custom Zukies are taking over the World! The first custom Zukies are showing up and they really look great! 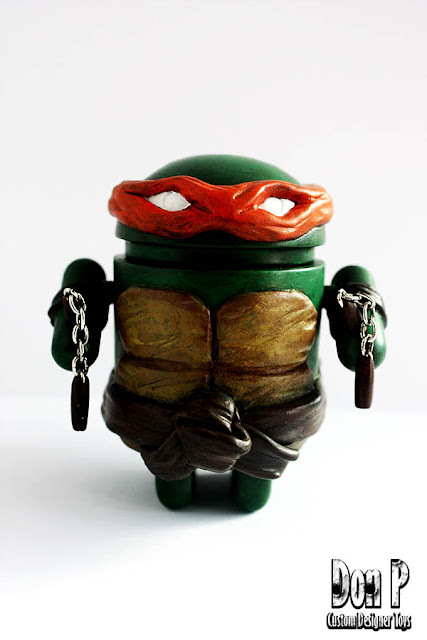 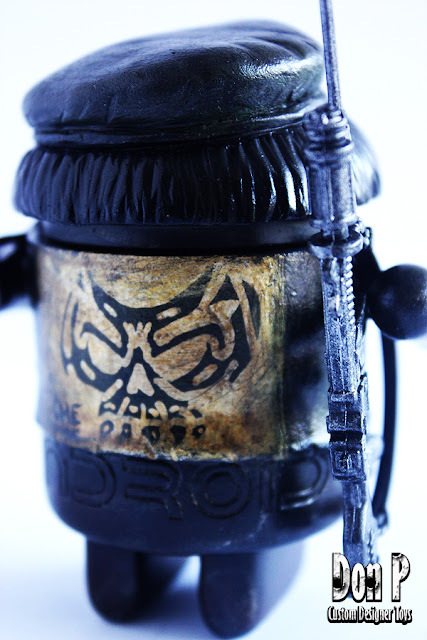 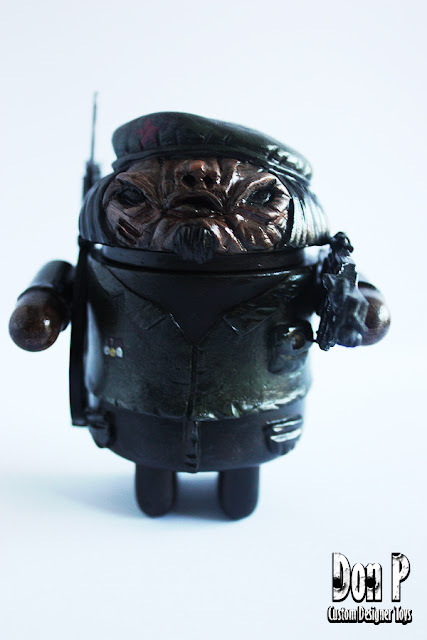 Don P is working extremely hard on some commissions Androids. 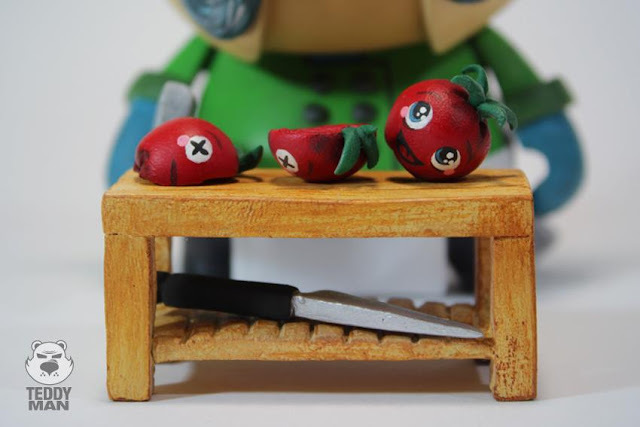 Here are the first two from the five that he has to make for a collector. 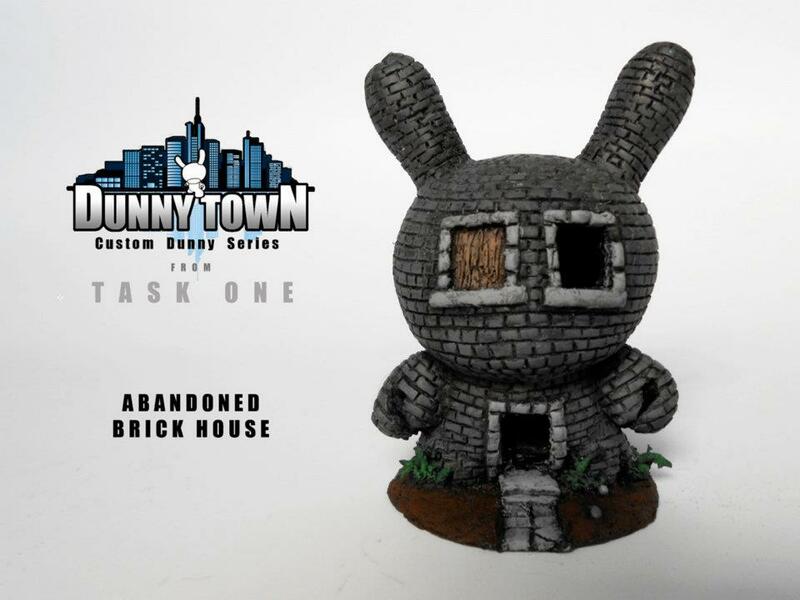 The first three Dunnys from Task One are done. 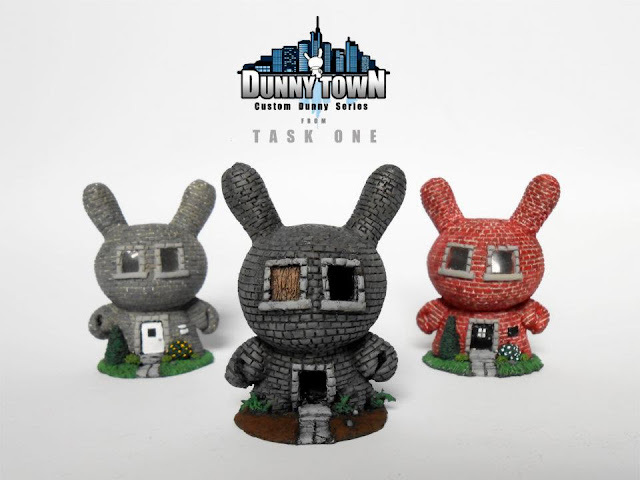 He will add some Dunnys every month to his series. 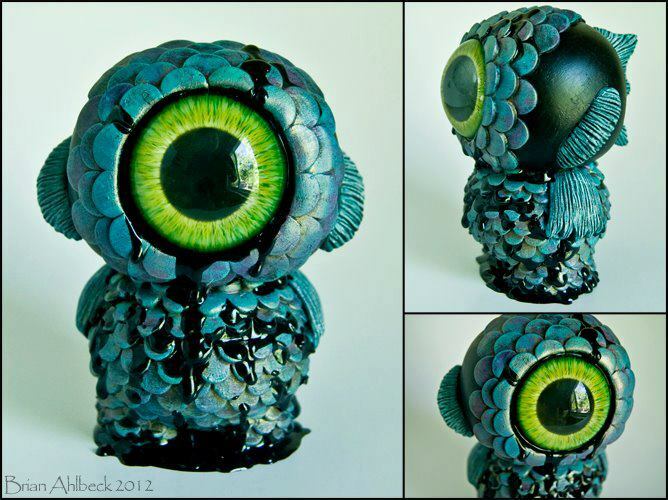 Can you imagine that this is made on a 3 inch? 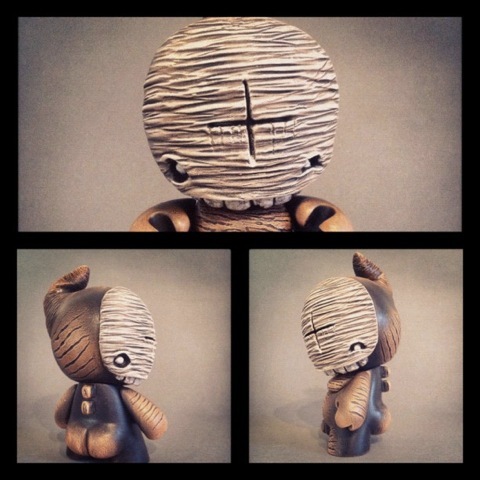 Just amazing work! 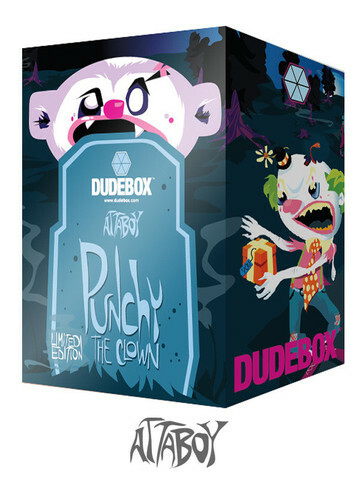 In stock now: Attaboy's 7.5-inch vinyl Punchy the Clown figure on the Ted platform by Dudebox. 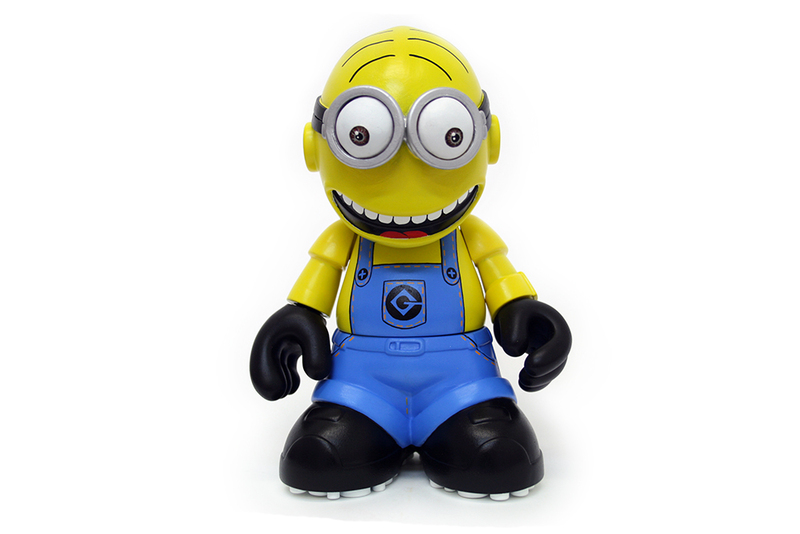 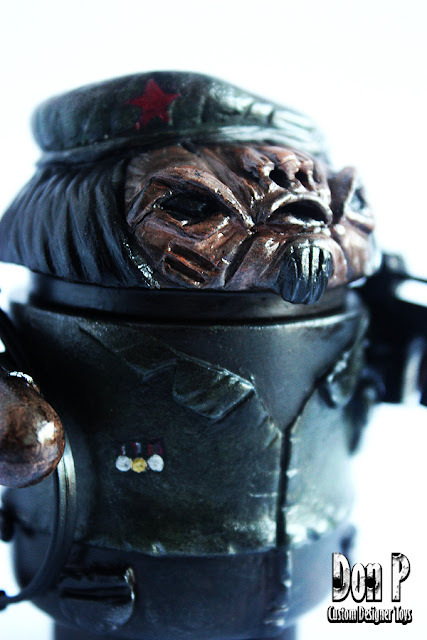 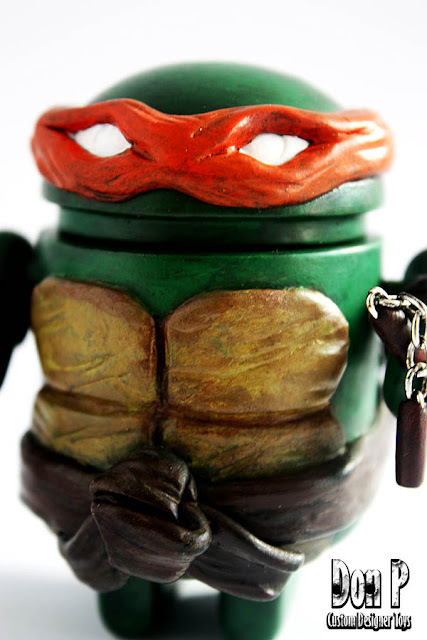 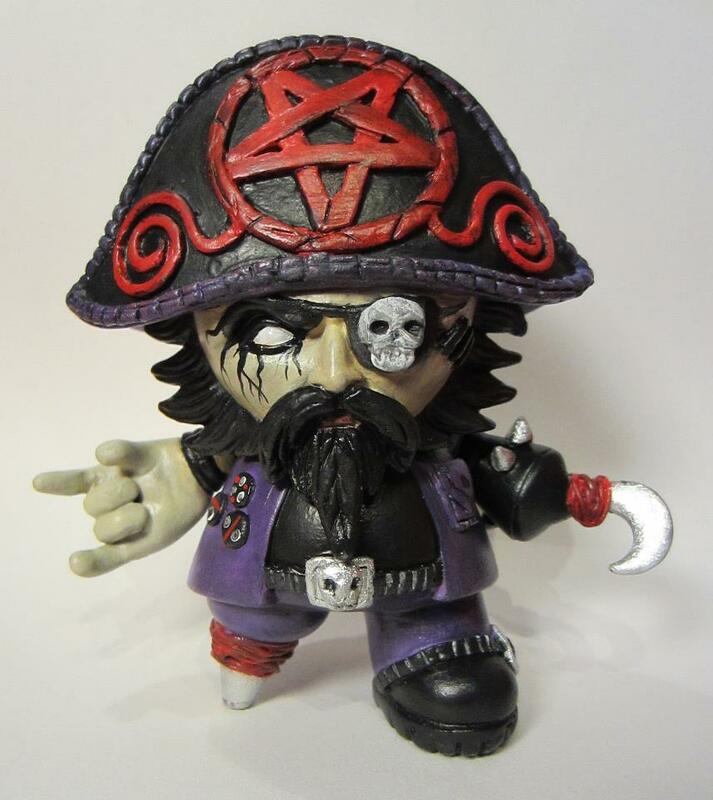 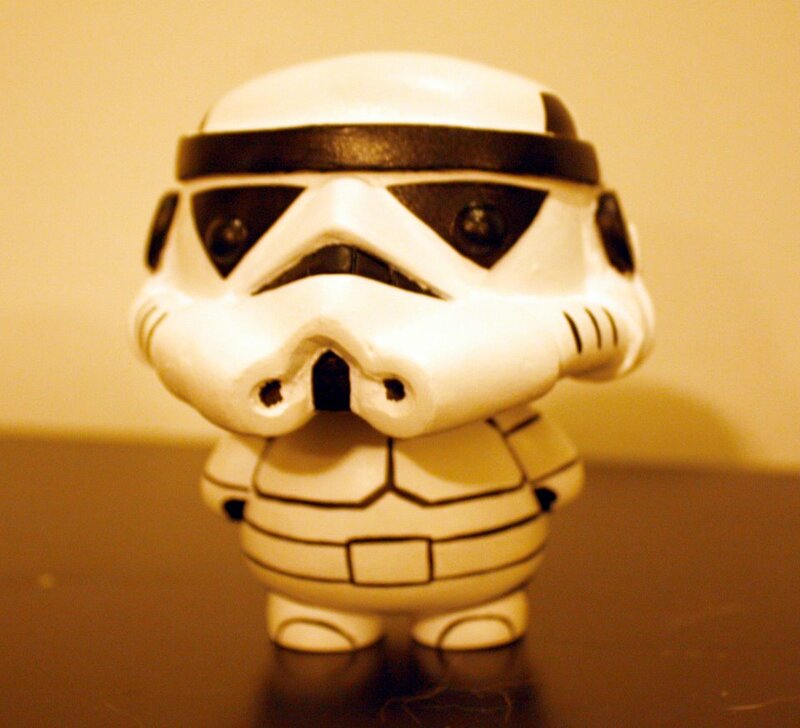 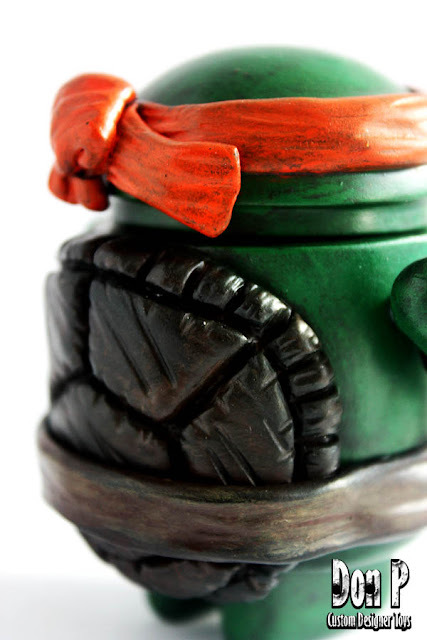 Click here to buy this one, or click here to see all the cool Dudebox figures we have in stock!